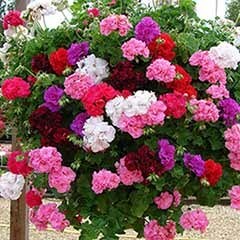 Classic Geranium with masses of bright upright flowers all summer long. 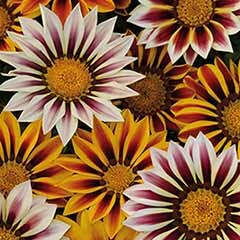 Raised from finest seed to guarantee best results and value. 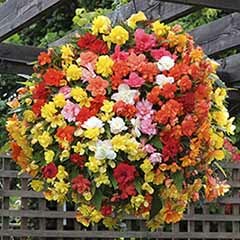 Ideal for a sunny spot in pots on patio, flower beds or tops of baskets. 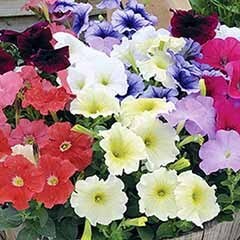 Supplied as 20 garden ready plants in mix of reds, whites and pinks. 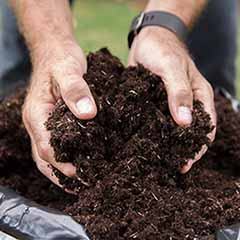 Club Price: £13.49 - Save: £1.50 Join Today! 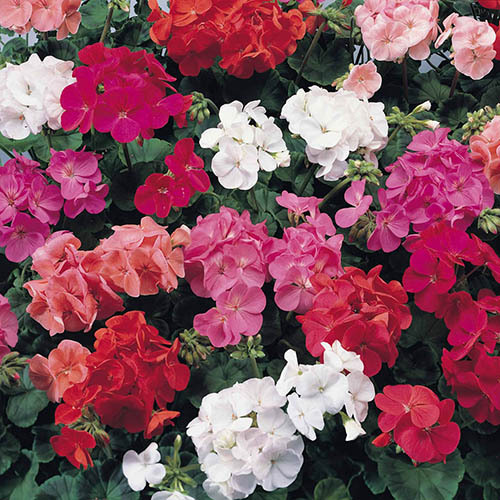 This stupendous mix of summer-flowering geraniums has been raised from the finest seed to guarantee you the very best results! 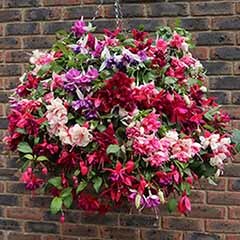 Bursting into colour in late-spring, in a torrent of reds, whites and pinks, they'll light up your beds, borders and hanging baskets. 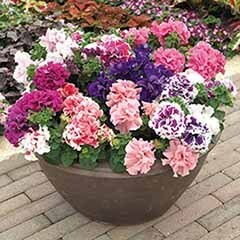 With their wonderful show, classic Geranium bicolour leaves and neat habit, they'll delight until the first frosts of autumn. 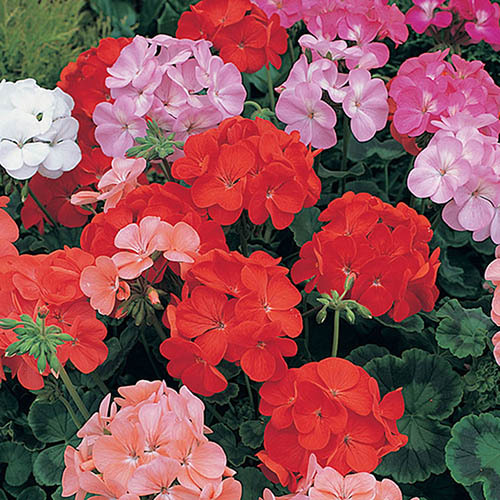 Plant up your Geraniums straight away and your borders and containers will be a blaze of colour in no time at all! 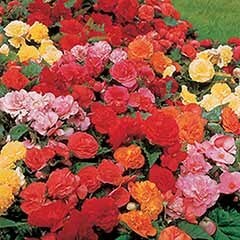 Deadhead regularly to maintain flowering. 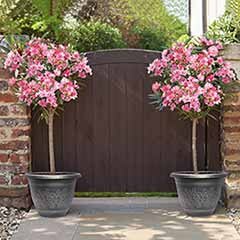 These Garden Ready plants can be planted straight out as long as there are no frosts predicted in your area. 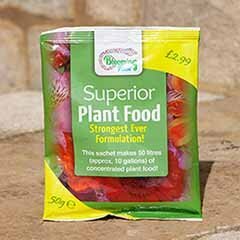 Keep plants well watered throughhout the summer and feed weekly with a general purpose feed. 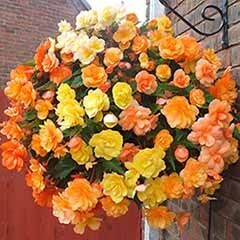 Deahead regularly to remove spent flowers and encorage more blooms. 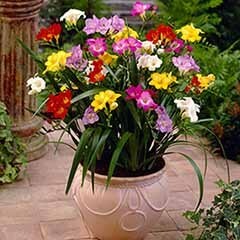 Was pleased with the service and packaging of plants, but were a little dried out, possibly due to extreme hot weather. 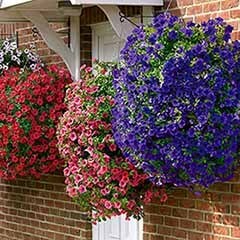 flowers needed a good watering when received, lost about 4 plants as they were very dry, obviously due to the unseasonal hot weather. 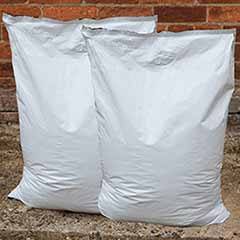 I'm sorry to hear this - if there's any more than superficial damage please forward us some photos and we'll be happy to address any problems for you. 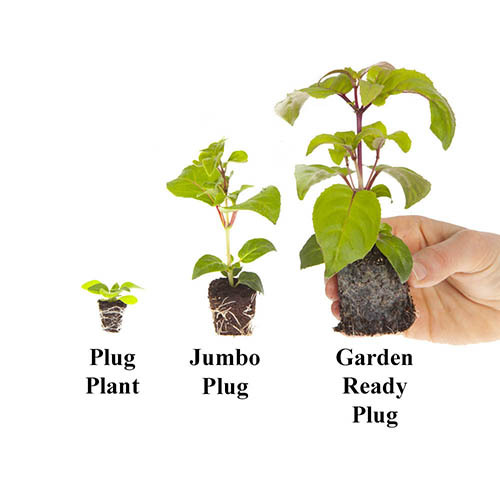 decent size plants, some a little lanky, and disappointed that the peach was very small and had only just been put in the 3l container.